Habitat - Fields, waste places, roadsides, disturbed areas, waste places. Origin - Native to Eurasia. 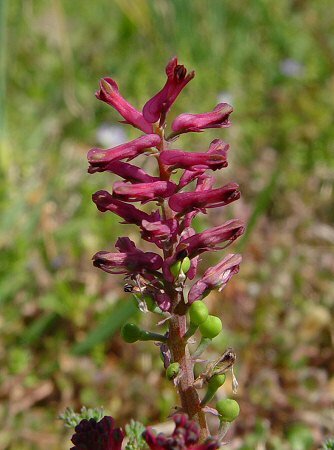 Other information - This striking but weedy species can be found mainly in the southern portions of Alabama but it is likely found throughout the state. 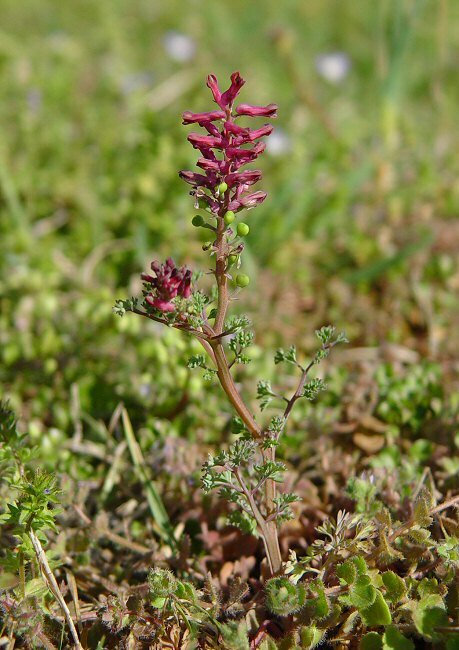 The plant is easy to identify becasue of its angled stems, finely divided leaves, and irregular, dark-pink flowers. 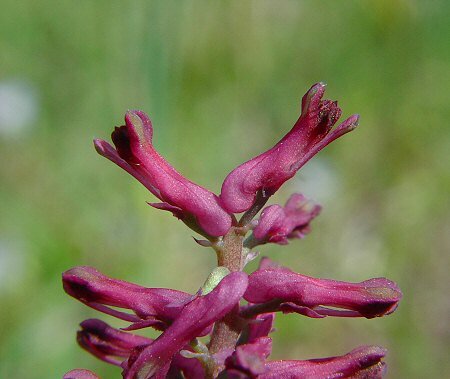 The genus name Fumaria derives from the Latin "fum" meaning "smoke." 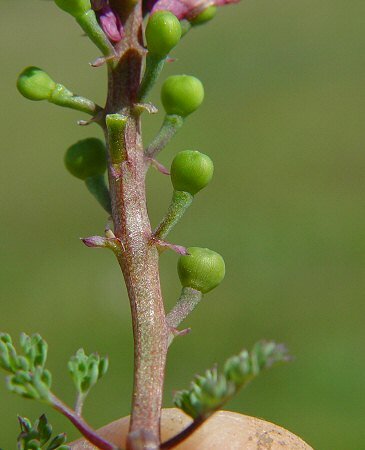 The plant was probably named becasue of the nitrous odor of the roots when crushed or bruised. 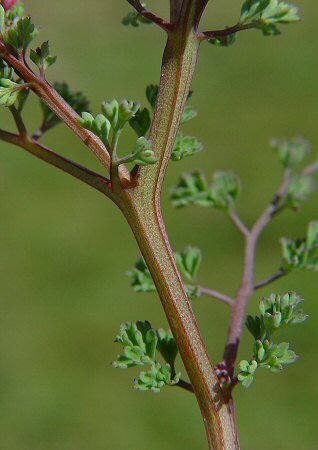 The species epithet officinalis means "of the shops, of the apothecaries, official medicines" becasue of the plants early reputation for being a medicinal herb. Photographs taken on the Auburn University Campus, 3-6-05.